Our family went on a road trip in Tagaytay last week to visit Caleruega Church as one of our Visita Iglesia churches for the year. Since there was a lot of people going to the popular church on a hill, it took us a while to get there and get back on the road back to Tagaytay. The entrance. Seats are one floor below with door leading to the garden facing Taal. We were hoping to stop by somewhere for a break and we already had lunch at Bag of Beans so we were looking for somewhere else to stop over. Then suddenly, we found a cozy new place which had only one establishment open, Starbucks! 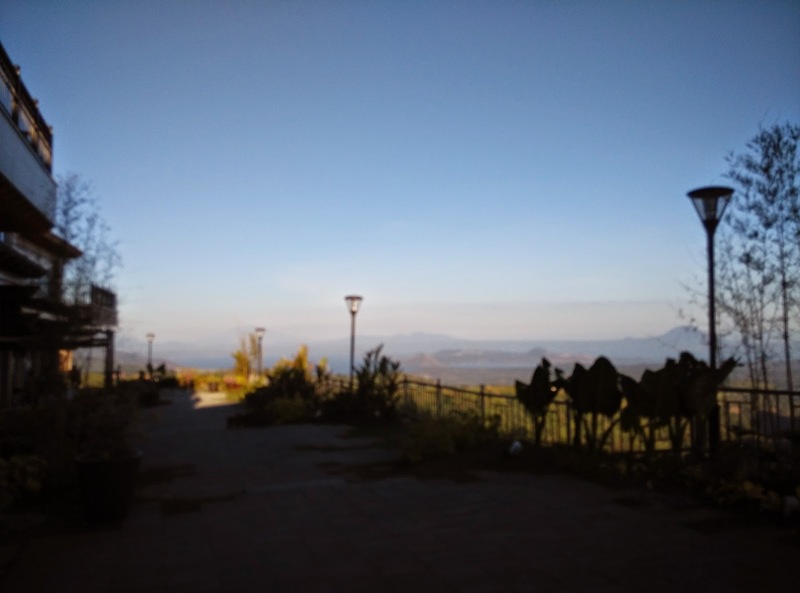 This is the 4th Starbucks branch I know of in Tagaytay, but what sets this branch apart from the others is the astonishing view and very wide veranda area one floor down with a spectacular view of Taal. The interiors of this branch are elegant and classy. It doesn't look like your typical Starbucks branch. While you're in line, this is what you'll see. 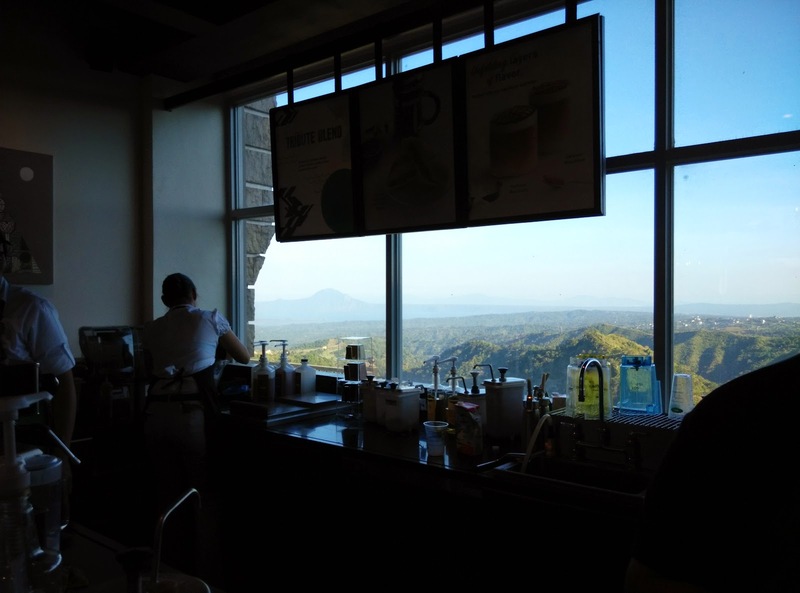 One thing that impressed me is even the barista's view while mixing drinks is a specatcular photo-like panoramic view of Taal. This surely would add to the barista's concocting inspiration. Eventually, when other establishments here would open, the back side with the view would also be shared. But for now, Starbucks customers enjoy a very long stretch of a garden to roam around and find several Instagram-worthy locations. 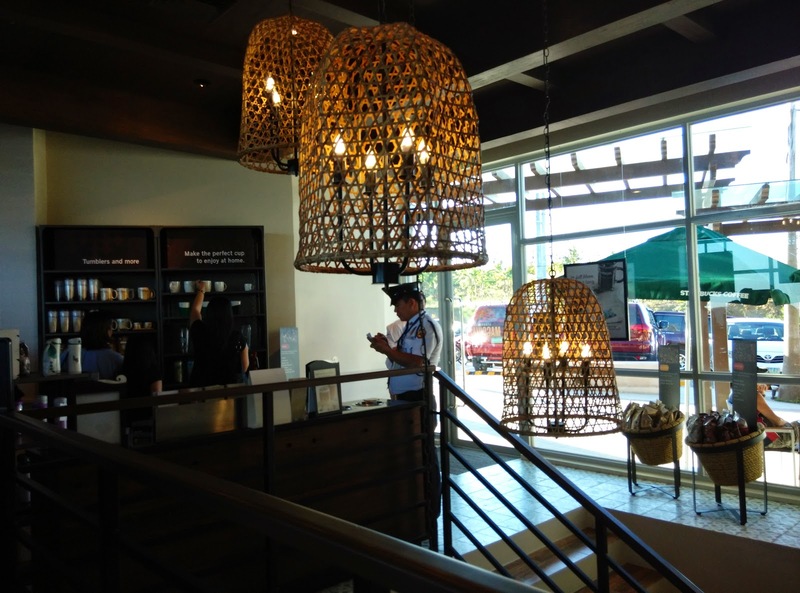 And to confirm how impressed I was with the location, interior of this Starbucks branch, I find out that ABS-CBN posted an article considers this branch to be the Most Beautiful Starbucks Branch in the Philippines. This branch is located at Twin Lakes, along the main highway at Tagaytay-Nasugbu road, Alfonso, Cavite. This is the farthest Starbucks branch in Tagaytay if coming from Manila and is a few minutes away from the Batangas border but very well worth visiting. We were there last Monday, and we took a lot of the pictures of the dubbed as" most beautiful starbucks in the Philippines". I'm not really impressed with it. The interior is just plain and the view on the walkthrough garden is not really that breathtaking. Perhaps, there are more beautiful view of the Taaal lake in some establishments. I guess the location has a lot to do with it, though I can't say that for Starbucks Boracay that it's the best branch because it's at the beachfront of a beautiful beach. The cool breeze makes the coffee much more indulging, the scenery, and tranquility makes the you want to stay in their outdoor area instead of cooped up inside and the facade. I do hope they maintain the area and that the other establishments soon to rise beside them won't affect the branch's atmosphere. Thanks for the comments and read your blog post too. 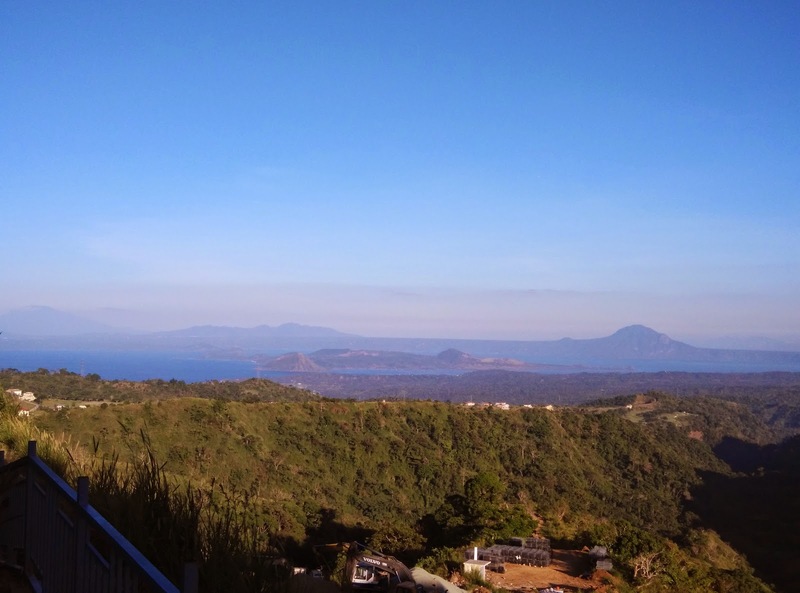 We're headed to Tagaytay again next week and I'd like to try it out in the evening.